Had a great three days doing my craft fair in Sheffield, you meet some lovely people who really appreciate all your hard work that goes into making a hand knitted jumper. The most popular by far is Dennis the Menace red and black style jumpers. They still seem to be as sought after today as they have always been, a bit like a cult following except everyone wants one. 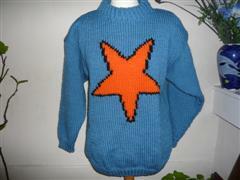 Will post some photo’s of the stall for you to see some of the jumpers I have created. Sheffield’s very popular craft market with up to 40 traders on Fargate selling a wide range of crafts and unusual gifts on the main pedestrianised area will be held on this weekend.Over 30,000 people attended “Fright Night” Britains biggest Halloween party which is always staged on the Sunday before Halloween.The roads are closed in the city centre for this mass promenade’ event, attractions include craft stalls, street theatre, ghost tours, funfair rides/stalls and thousands of people in amazing fancy dress. Sheffields very popular craft market with up to 40 traders on Fargate selling a wide range of crafts and unusual gifts on the main pedestrianised area will be held on this weekend.On the Sunday there is the City Lights switch on to enjoy. There will be a main stage to start the festive season with a bang, plus a special guest celebrity to switch the lights on. Sheffield has operated a Christmas Craft Market on Fargate since 1997 of which Bexknitwear has been part of from the very beginning and has been extremely popular and has now grown to 50 – 60 stalls.